. It’s primarily aimed at children with high functioning ASD, but would also suit lots of other children e.g mild/mod CP, mild/mod learning diffs, DCD, independent wheelchair users etc.
. Every Thursday 3.45-5.15 at Britannia leisure centre. 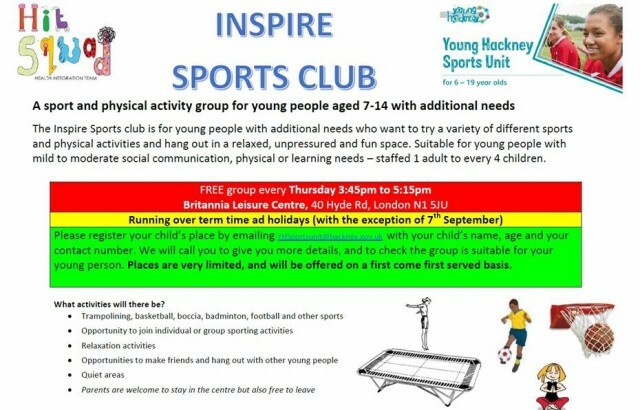 The children have a structured circle time, then opportunity to engage in lots of sports including trampolining, Boccia etc. There are visuals throughout, relaxation at the end, and the staff are brilliant!